Pear Tree Mead is a community school, taking children from 2 – 11 years. Some children begin pre-school from the age of 2 years old part time, whilst most children begin the nursery class throughout the year, part time from when they turn 3 years old. The school was built in 1959 to serve the growing needs of Harlow New Town. Many families originally came from London but have now been well established in the town for two or three generations. The school has positive links with the local community, business links, an informed governing body who play a positive role in the management of the school and supportive parents. In return the school works closely with parents, providing them with quality information about their children’s progress and how they can help. Parents are well represented on the governing body who understand the school’s needs well and are highly supportive. We became a single converter academy in September 2014. Although an established primary school, we are currently in the process of expanding the number of pupils in the school with the two main buildings colliding together. Originally two schools – separate infant and junior. Consequently the school was in two buildings close together and has plenty of additional office, amenity and teaching spaces. We have recently had some building work to join the two buildings together. The school is well resourced with a bank of laptop computers, tablets, Interactive White Boards in all classrooms and additional desktop computers. All computers are networked and connected to the internet. The school has many plans to continue to develop both inside and outside environments over the next few years. of the school houses the nursery and reception classes. The nursery has their own large, newly refurbished rooms with its own kitchen, large practical and quiet areas, and two pleasant outdoor play areas. We recently developed the early year’s outdoor area (which is shared by the Reception and Nursery children) to provide additional hard surface and canopied facilities. A link was made between the two reception classes to allow these two classes to work together and this has been newly refurbished too. There is a children’s kitchen room, (where our breakfast club takes place) a large hall, a reception intervention room, an office used by the finance manager and the site manager’s office. Classrooms have their own toilet and cloakroom facilities. Our 2 year olds room (the Pre-school) is based in its own separate location. It has its own entrance and outdoor area. This sits alongside our ‘Hive’. This is a dedicated room for parents. We hold parent workshops and meetings in there and our FOPTM (friends of) meet in there. ction of the school houses the 4 KS1 classrooms, Staffroom, PPA room, two learning mentoring rooms, KS1 intervention space and our new Library. Parents use the library on a daily basis. The other side of the building accommodates children from year 3 to 6. There is a large hall and seven classrooms, three of which are upstairs. All the classrooms have their own cloakrooms and toilets. There is a disabled toilet which is directly accessible from the hall. This building also houses the office staff, reception, head teacher’s office, leadership team and inclusion manager’s offices, a film studio, group teaching areas and school meals kitchen. There are extensive and pleasant grounds with a wildlife area, allotment, a pond, shaded picnic area, large playing fields and three playgrounds with new playground equipment. 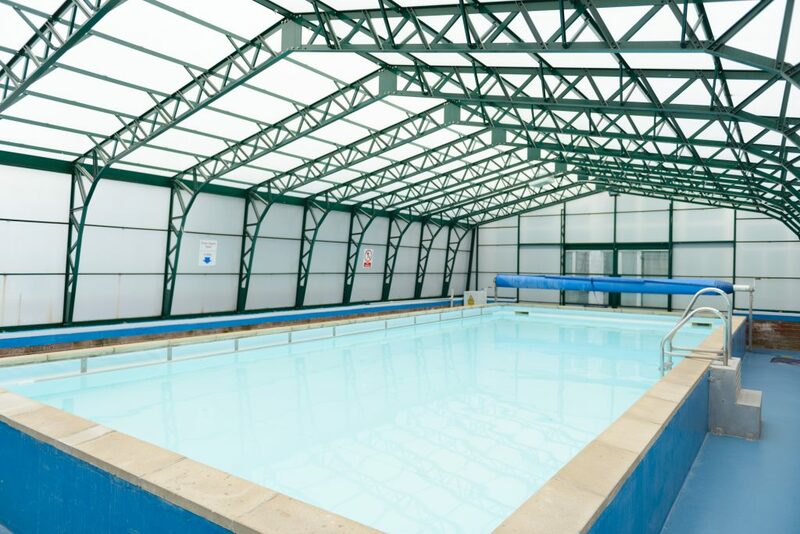 We also have our own indoor, heated swimming pool. We work closely with other schools, both secondary and primary and are part of the Harlow Education Consortium. We have a committed team of parents who form our Friends of Pear Tree Mead Association and hold many fund-raising events. We also run an adult helper scheme. We are part of collaboration with Passmores Academy. If you would like to arrange a visit to look around the school please contact the school office on 01279 836181.